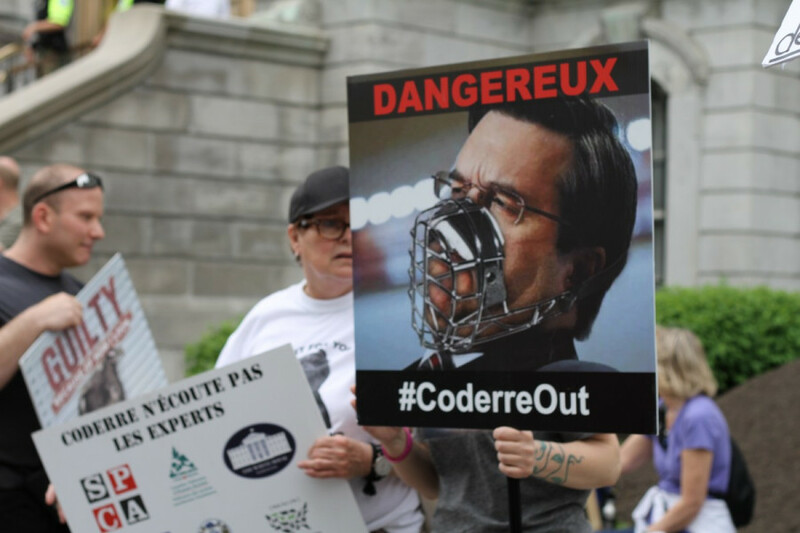 Many animal rights activists want Denis Coderre out. Yesterday evening, about 100 came to City Hall to voice their disapproval of the mayor’s politics against animals. Since January, animal rights activists like Geneviève Goizioux and Stevan Harnad have been going to City Hall to voice their concerns about the city’s plan to hold a rodeo at the end of August. The rodeo is being held as part of Montreal’s 375th celebrations. Both Goizioux and Hanard say that they have been receiving the same answer over and over—that the rodeo is happening whether they agree with it or not. 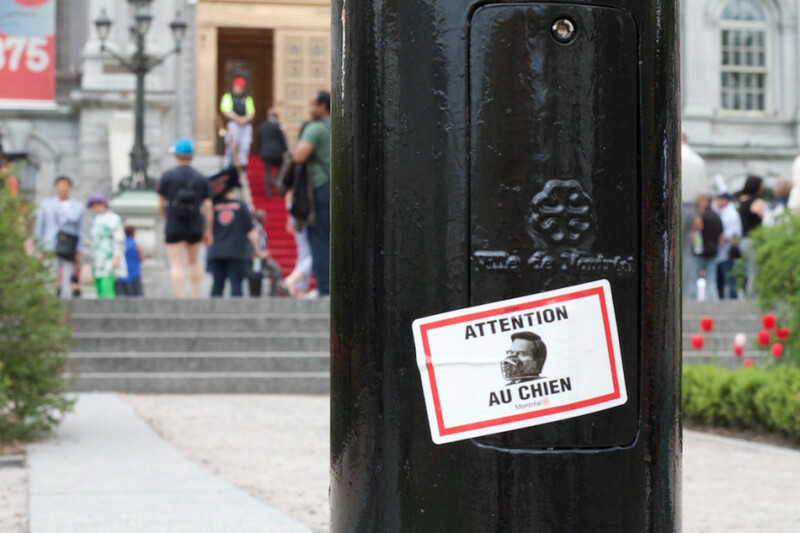 Hanard argues that the rodeo is in contradiction with a law the province of Quebec passed last summer, which states that animals are to be considered sentient beings rather than property, and that because of this, fines can be given to those who are found to act cruelly towards animals. “They’re terrified, they jump, they hurt themselves and oftentimes get killed,” said Harned, who highlighted that electrics prods are frequently used within rodeos. The SCPA has launched a campaign against the rodeo. Their petition has gained close to 20,900 signatures on their campaign site. Harned also mentioned that 650 veterinarians from Quebec and Canada have signed in disapproval of the event. That petition has since been handed over to the mayor. Instead, veterinary oversight for the rodeo has been handed over to the veterinarians employed by the same group that runs the annual Western Festival in Saint-Tite, Que. “What they’re saying is their veterinarians who work for the Saint-Tite rodeo have been given full weight. Hundreds, thousands of veterinarians in the whole profession are being ignored,” said Harned. 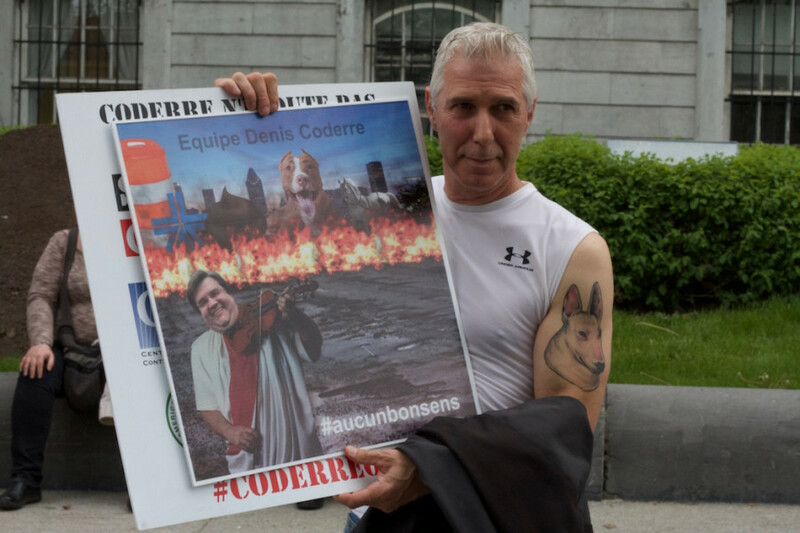 Protesters also voiced their disapproval of the recent pit bull ban, and urged the city to discontinue the use of horse drawn caleche rides in the Old Port. Their group ended their march at the Bell Centre downtown. Goizioux said that if the rodeo is not cancelled she will organize another protest for the day of the event.